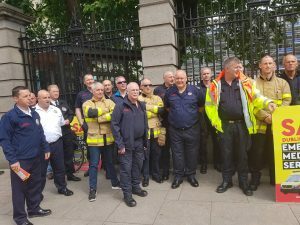 Firefighters and paramedics from Dublin Fire Brigade (DFB) gathered outside outside Dáil Éireann today, calling on TDs to support a private members’ motion which calls for the retention of the fire-based Emergency Medical Service. 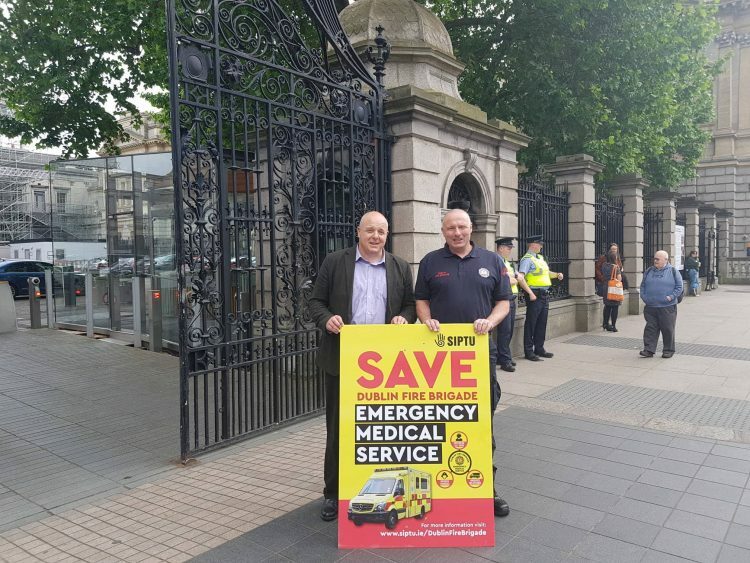 The motion comes as the Health Service Executive (HSE) continues its campaign for the merging of the service with the National Ambulance Service. 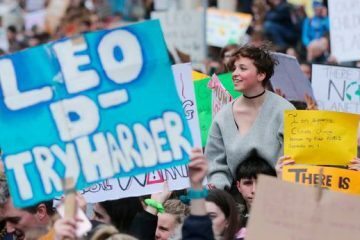 “Dublin Fire Brigade have been providing a fire-based EMS for 120 years, we have the second highest out-of-hospital cardiac arrest survival rate in the world. 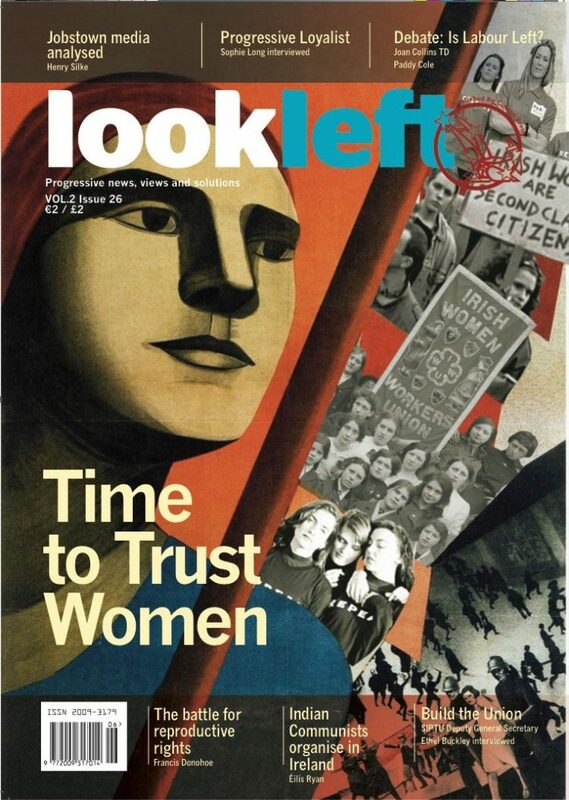 We’re ranked behind Seattle for that, who actually modelled their own service on Dublin Fire Brigade,” Deirdre Taylor, Chairperson of the DFB Section Committee (SIPTU), told LookLeft. 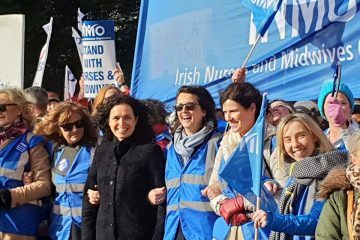 “At the moment, it has been proposed to move our calls to, and integrate them with, the National Ambulance Service in Tallaght. An expert panel compiled a report in 2015 and even they deemed that this would have a detrimental effect on the service that we provide,” she continued. The motion appeared to have a wide range of support within the Dáil, with all parties expected to support the motion and vote in favour of keeping the EMS in the hands of Dublin Fire Brigade.